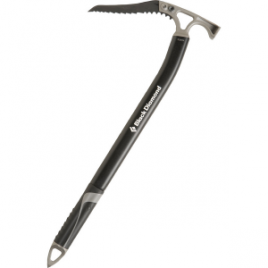 The new Black Diamond Fuel Ice Tool represents the next evolution in leashless tools. 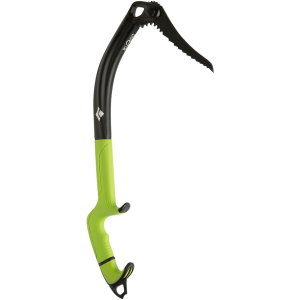 Black Diamond first starts by hydroforming the shaft from a single piece of aluminum. This allows it to be made lighter, while still maintaining strength, and gives an incredibly solid swing throughout. 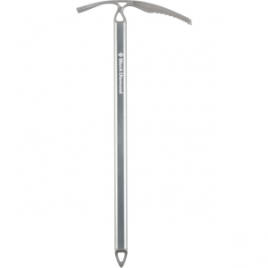 The Fusion ice pick is included standard on the Fuel, which gives it the highest level of performance possible on steep to overhanging ice routes. The grip is adjustable and includes spacing washers so you can get the perfect fit, even if you’re switching gloves throughout the season. The spike on the bottom is a bit blunter and rounder than previous offerings, reducing the chance of stabbing yourself or having it catch. 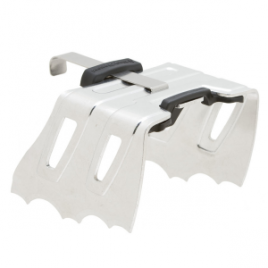 It is still removable, as with previous models, and can also be clipped in the process of building anchors or using the axe as a pseudo-snow picket. When your plans take you onto some of the steepest mixed and ice routes, you can’t go wrong with having the new BD Fuel in your quiver.